The main contract was undertaken as a joint venture design and build project by DAWSON-WAM in conjunction with VATech WABAG UK Ltd, specialist plant and process design and manufacturers, and was carried out under a partnering ethos within the I.Chem.E. Red Book Form of Contract. 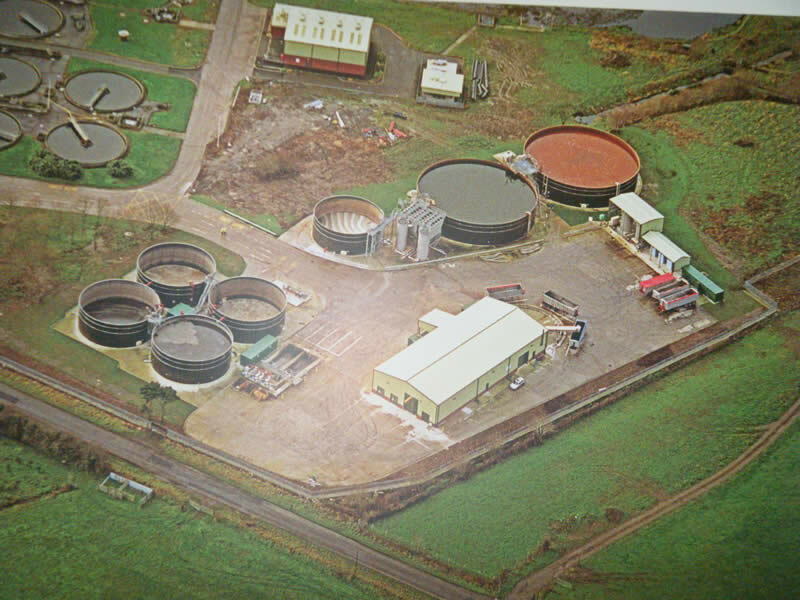 The DAWSON-WAM elements of the project were the design and construction of all civil and building works required for a new sludge treatment facility at Ballynacor WWTW near Craigavon, Co. Armagh. Civil engineering and building design was sub-contracted to WDR & RT Taggart, Consulting Engineers., Belfast. The clearance of surface vegetation from the whole area. The breaking up and disposal, on site as fill, of some 600 m2 of concrete surfacing. Excavation and disposal on site of some 1,000 m3 of peat and soft materials and replacement with hard fill. Importing, spreading and compacting of some 2,000 m3 of stone fill in road and access area formation. Design (in conjunction with Doran Consulting), provision and installation of 450 Nr. vibro-displacement piles, construction in reinforced concrete of pile caps, ground beams, floor slab, bund walls and plinths for the Treatment Building, which has a floor area of some 750 m2. Construction of the Treatment Building superstructure, which consists of a structural steel portal framed structure with profiled steel cladding and roof, and brick faced concrete block outer walls. Sludge Buffer Tank, Lamella Settlement Tank, 4 No. pumping stations and various other minor structures. The provision, excavation for and laying of some 5,180 metres of pipework, varying from 100mm dia. PVC ducts to 1500mm dia. reinforced concrete pipes, together with associated chambers and surface drainage. The construction of some 500m2 of flexibly surfaced access roads and 4,800m2 of concrete hardstanding. This included the construction of an access bridge over an existing watercourse. Ancillary works included provision of services to the new building, security and street lighting, landscaping and planting. The main civil works were handed over to the process engineers on time but completion of ground works and site finishes was delayed until process plant had been installed and commissioned.